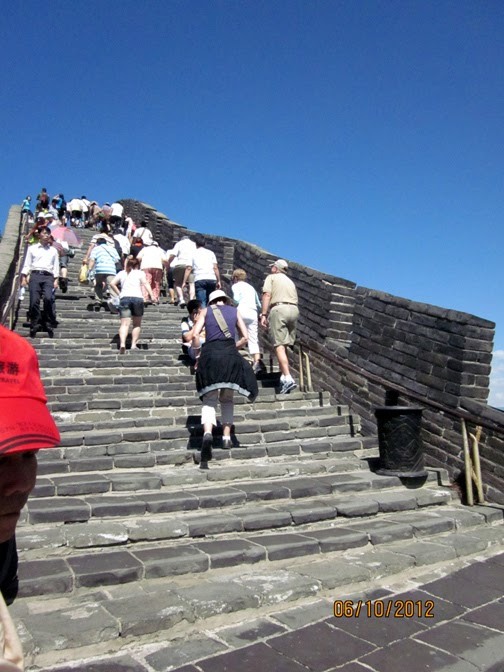 After climbing the tiers of leg-aching steps and following the pathways used by Chinese soldiers for over 2000 years, the Great Wall of China is on my personal list of ancient world wonders. 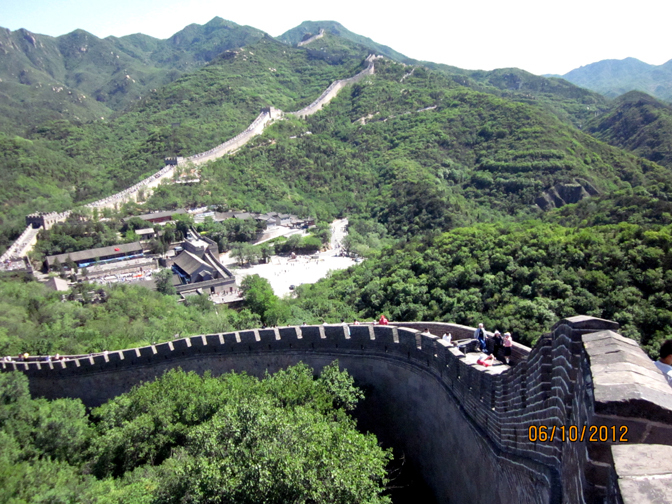 The Great wall covers over 5000 miles bordering northern China. It is a sprawling river of stone, twisting and turning, even making u-turns and sending out branches that dead end. Tamped earthern parts of the wall date back to the 7th century BCE, but the great emperor Qin (pronounced "Chin"), the first despot who united China and built the famous Tomb of the Terracotta Warriors, ordered construction of a major wall, circa 200 BCE. That is the same time that Rome was competing with Carthage and Celtic Tribes led by Concolitanus were ravaging the Etrurian countryside, threatening to lay Rome to waste. After Qin secured his empire, he ruled with an iron hand implanting the image of the emperor as the supreme being with absolute power over his subjects. Yet, even with his great army, he was still plagued by marauding tribal bands of warriors from the north. The answer was to build a great wall extending thousands of miles along the northern border of his empire; the labor provided by captives and slaves. 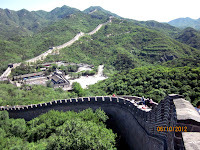 Each dynasty after Qin improved on the wall until it finally took its present day form of bricks and mortar in the fourteenth century by the Ming Dynasty. The Ming Dynasty maintained an army of over a million soldiers and used the wall to move troops to troubled areas quickly. Signal towers would light fires where incursions would occur and troops could be dispatched quickly. 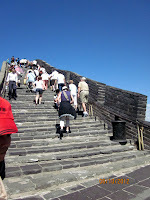 The Ming Dynasty may have been the crowning peak of Chinese culture. The dynasty’s 200 plus years of stability yielded leaps in science and learning, even building the Forbidden City. Yet, all this was enjoyed by only an elite few. 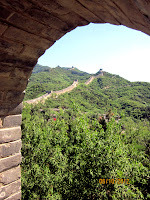 There is a Chinese saying that there is a soul in heaven for every stone in the Great Wall: the souls of captives and slaves that died carrying the millions of bricks up mountain sides and over the centuries to build it. As beautiful and wondrous as it is, it is symbol of cruel despotic rule that has plagued humanity since men first banded together.